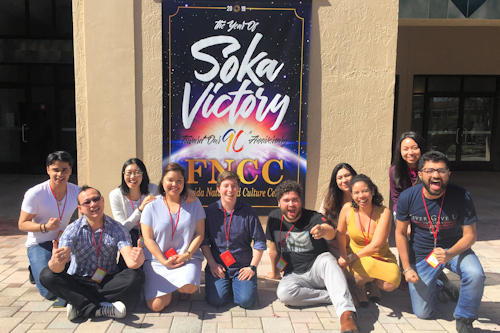 From February 1-4, 10 representative youth leaders from SGI Canada participated in the North America & Oceania Study Conference at the Florida Nature and Culture Centre. In addition to the 200 participants, mostly from SGI-USA, were eight representative youth leaders from New Zealand. SGI-USA youth were very welcoming and we all felt a strong bond of friendship among the youth of these three countries. How to create the unity of many in body, one in mind. How to advance based on the oneness of mentor and disciple. It was important for the youth leaders to understand these two crucial points as we are the ones responsible for the advancement of kosen-rufu as well as the passing of the baton of faith to the next generation. The study lectures and Q&A sessions that followed truly galvanized our mentor and disciple spirit. 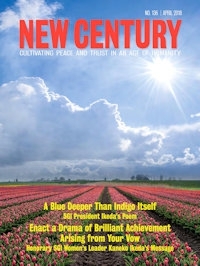 As one participant said, "Such clear lectures allowed me to feel an incredible sense of mission. 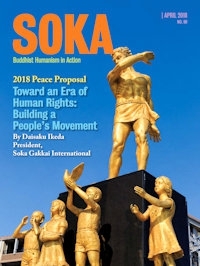 I realized, now is the time to take action and accept the baton of kosen-rufu and work with the same spirit as my mentor Daisaku Ikeda." Everyone came home filled with hope and determination, ready with a stand-alone spirit to advance kosen-rufu in our respective region and respond to our mentor. As one participant said, "This conference gave me a new vision and direction on how I should advance kosen-rufu with joy." And on a more personal note, another said, "I came to this conference with so many questions on how to overcome various personal challenges. What amazed me was that I found my answers in the lectures, member experiences, and interactions with other participants during the conference."